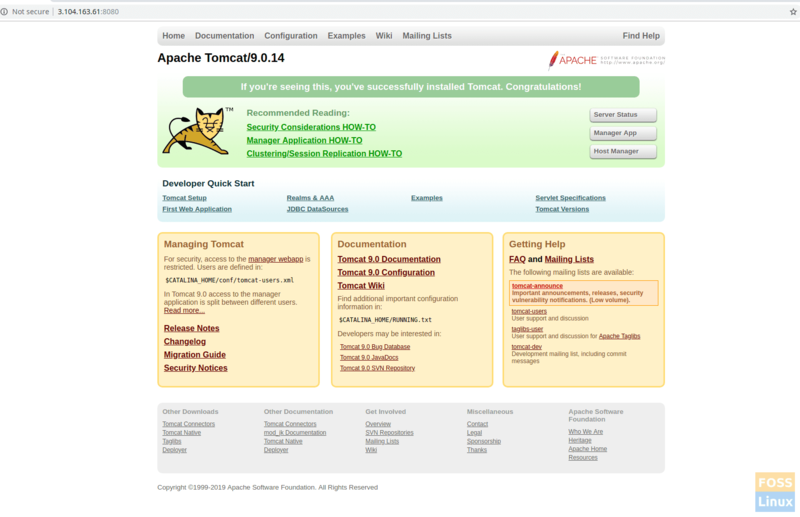 Apache Tomcat is a web server and servlet container developed by the Apache Software Foundation. 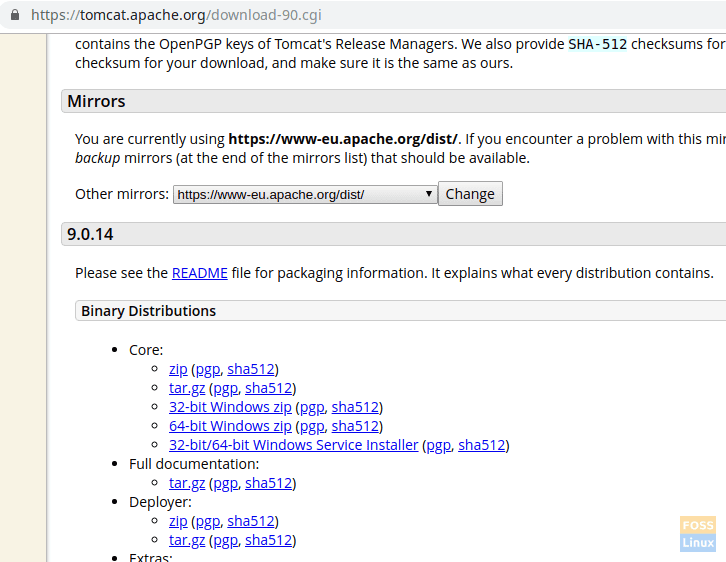 Apache Tomcat is a web server and servlet container developed by the Apache Software Foundation. It implements several Java EE technologies including Java Servlet, JavaServer Pages, Java WebSocket, and Java Expression language. In today’s tutorial, we are going to show you how to install and configure Apache Tomcat 9 with Oracle Java 8. Enter the following commands one at a time in the Terminal to add the Java repository, update the system and install Java. Typically, we don’t recommend you to run Tomcat under the root user for security purpose. Rather, we advise you to create a new user and group. Additionally, we are going to install tomcat to “/opt/tomcat” folder to use as a Tomcat user home directory. Start with creating a group and user. Tomcat 9 binary release can be downloaded from official download page. You can download “zip” or “tar.gz” file from under the binary distribution in the “core” section. 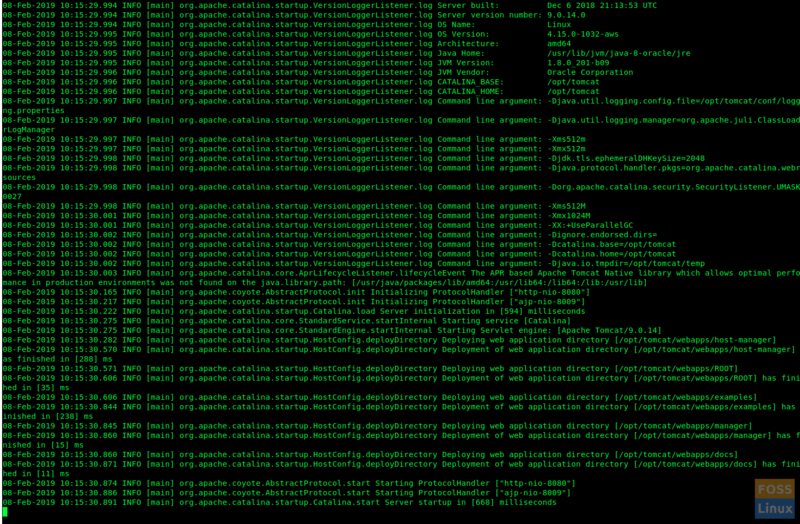 We are going to install Tomcat to “/opt”directory. So we will download package to that location. Rename the extracted file as tomcat. Modify ownership and permissions of Tomcat folder. Give executed permission to “bin” directory. To start and stop Tomcat service we will create a file called “tomcat.service” in the “/etc/systemd/system”. Then save and the exit file. Check the Tomcat service status. Default Tomcat port is “8080” So need to allow that port on Ubuntu firewall. Restart Tomcat for the new configuration to take into effect. If you made this far successfully, you should be able to browse the Tomcat server. Launch the following URL in the browser. 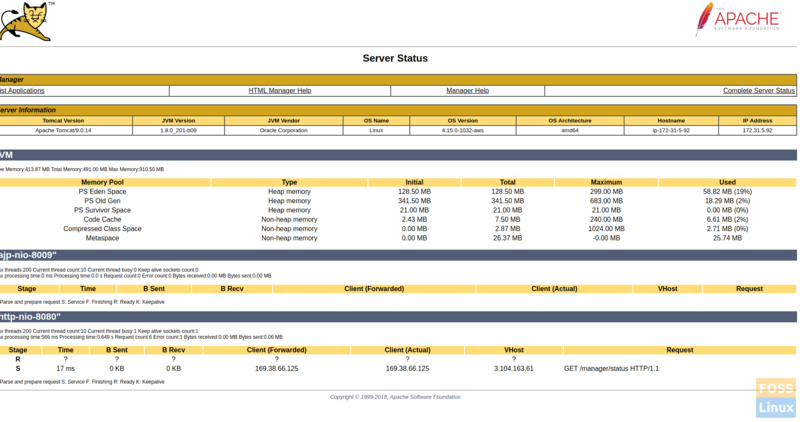 Click on the manager app or host Manager. You should see a prompt for the user name and password. Enter tomcat username and password that was created on “tomcat-users.xml” file in step 5. If everything went well, you should get an “Access Denied” error. This is completely normal. The reasoning behind this error is that the Tomcat web management interface is configured to restrict access to the apps Manager and Host Manager only from the localhost. Therefore remote IP access should be enabled. This is not recommended for production environments. However, here is how to remove those restrictions and enable our public IP. Modify the following section in both files. Replace your public IP with “yourIP” in the command below. Restart Tomcat and then browse Tomcat again, following by clicking on Manager App or Host Manager. You should see no problems now. Congratulations! You have now successfully installed and configured Tomcat 9. How did the instructions work for you? Let us know your feedback in the comments below and don’t forget to share the tutorial with your friends!